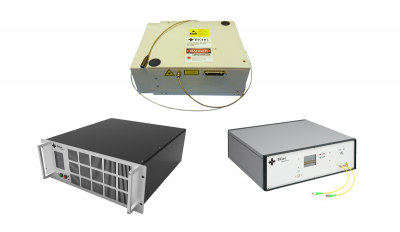 Fiber Lasers With High CW or modulated optical output power, in the 1.5 µm, 1 µm and 2 µm bands. The Lasers are proposed with a polarized output beam or randomly polarized. Proposed in robust industrial design or to be integrated in Lab or Medical equipment.